Maybe you’ve seen one of 400 million Snapchat stories created every day, with real-time video filters turning selfies into rainbow breathing unicorns? Or perhaps you’re one of 800 million people who downloaded Pokémon-Go to hunt down virtual monsters in a local park? These two phenomena – although not the first – represented a very public entrance for Augmented Reality, teaching us what it was and making us realize that its journey into our everyday lives had only just begun. Imagine all the great graphics from computers and video games you’ve seen over the years, now instantly overlaid onto your display, providing you with an enhanced or ‘augmented’ experience. This new technology, called Augmented Reality (AR), blurs the line between what’s real and what’s computer-generated by enhancing what we see, hear, feel and even smell. Today we have a great convergence of technologies: AI, Machine Learning, Cloud Computing, Voice, the Internet of Things, and many more, all of which are unlocking potential in human computer interaction, and massively enhancing what’s possible with interactive applications like Virtual and Augmented Reality. It’s worth noting that there is a difference between the two. Where Virtual Reality creates a whole new graphical world inside which users move and interact; AR blends both the real world with graphical layers that can be similarly interactive – reacting in real time to device based and environmental inputs such as location, time, personal information or social preferences, or even biometrics like your heart rate. Recent developments in video games and cell phone technology have supercharged this recent rapid expansion of augmented reality. The market for AR technology is exploding largely off the back of 3 billion global smartphone users – allowing for an ever increasing number of applications today that solve problems and assist people looking for the nearest public transit, or explore museums and cities with multi layered immersive experiences; or perhaps soldiers, doctors and pilots able to approach tasks in new, safer, and more innovative ways. The visible momentum evident in the many different workstreams developing this technology today are almost an insistence that businesses and consumers across the spectrum will all be able to leverage AR experiences to attract, engage, entertain or transact with audiences via computer-generated graphics, information and interactions in their field of vision. DOES IT MATTER FOR MARKETERS? The first thing that matters for any new technology is viability – which we can distil into: Does it work? and, do enough people have access to it for it to be meaningful? The answer is simply: yes. For today’s B2B or B2C marketers, mobile is critical. Many businesses have already defined their Mobile First propositions, in reaction to insights on how their audiences are now engaging – whereas others are making their way into Mobile more slowly. What we do know, is that the few who are lagging will struggle to do so for much longer. So Mobile is ubiquitous, and so there is our technology install base. What makes it more exciting is the imminent potential expansion. ‘Mobile’ as a concept initially implied the ‘Smartphone’, but as connected devices and screens have extended into broader lifestyle, commercial and professional environments we are seeing the concept of ‘mobile’ evolve – and as that expands imminently into vehicles, windows, heads up displays, and perhaps in ten years – personal lenses – we can see how AR will become an integral part to how we “do” mobile. So, we can see how Mobile & AR are impacting on how brands are experienced and ‘go to market’ today and in the foreseeable future. Thus marketers, as guardians of brand and brand experience, are obliged to explore their options and see how they can gain advantage in this age of assistance – where it’s ever more important to unlock experiences that solve for consumer needs contextually and instinctively. It is in this convergence that we can see an even greater role for AR – where in a customer centric world we help our consumers achieve their goals across the funnel – be it for planned & researched tasks, or spontaneous stimulus driven moments. In truth, across the breadth of business investments, 2018 is still early for AR, but it is far from insignificant. Today IDC estimates global spending on AR and VR will increase 95% and will reach $17.8 billion in 2018 vs 2017. Deloitte’s 2017 survey claimed 88 percent of mid-market companies are already using some form of virtual or augmented reality as part of their business, and BCG’s recent research estimates more than 80 million people in the US, or roughly one-third of all smartphone users, currently engage with AR at least once a month. All that considered, when you add together the devices, platforms and applications of AR & VR, it’s estimated to become a trillion-dollar global business in the next ten years, with Citi investment bank forecasting revenues of $692 billion by 2025. 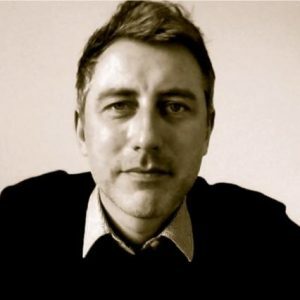 So it’s no surprise investors are still pouring huge amounts of money into ‘the next big thing’ – Magic Leap is perhaps the most well-known – with its groundbreaking technological promise to change the world, buckling under the pressure of market expectation brought about by over $2.3bn investment since 2011. The familiar names of Apple, Microsoft, Facebook & Google have all released AR Kits to facilitate development, and every day there are more examples and case studies showing great use cases. It’s a very exciting and increasingly accessible world that isn’t only the domain of the big budget brands, so if you haven’t yet dug into it to learn more, then that time might be now. Arguably not yet a cost of entry for brand like perhaps a mobile ready website would be, but for the readily visual categories of Gaming, Retail, Fashion, Beauty, and Entertainment, AR is already establishing itself as an impactful tool for attracting and engaging audiences at the top or middle of the marketing funnel. Beyond that, there is a 5 year history of brands are experimenting in an effort to stand out from the crowd, and leverage AR to address marketing goals at different stages of the funnel. This reflects both the adoption levels and capability of the technology for today – but things really are moving faster and faster – exemplified by the impressive roll out of market ready AR & VR unveiled at Facebook’s impressive F8 keynote this past spring. 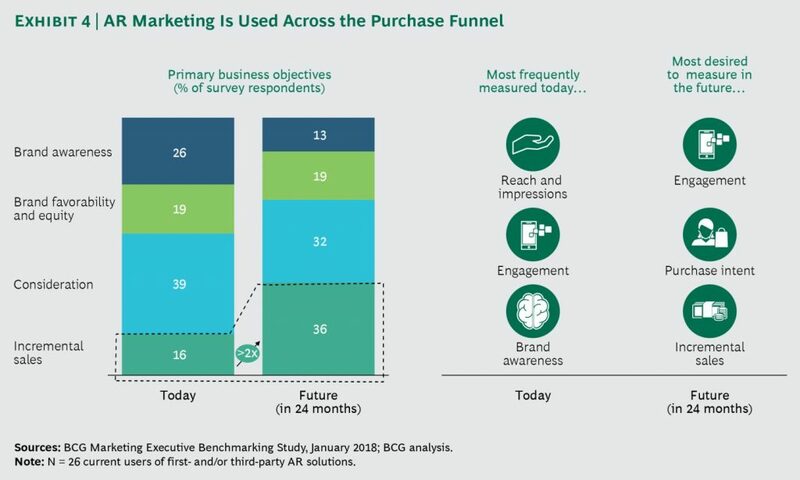 With all this considered, it’s extremely interesting to think forward to how much more could be achieved in the marketing funnel when adoption expands fully, experience is better developed, and we have more secure and frictionless transactions enabled. It’s been ‘coming soon; for many years, but now it’s becoming more of a reality, and forward-thinking retail brands are incorporating AR technology into the customer experience, both in-store and online. Retailers are smart to adopt this technology: Almost 70% of consumers in UK expect retailers to launch an AR app within the next 6 months. This world of exciting potential for marketers is more frontier territory and requires a willingness to test and learn and grow with the technology. Not all will go there immediately, and many brands will want to be ‘first to be second’– but if the breakneck pace of technology over the past ten years has taught us anything in marketing, it’s that in a world of increasing competition played out in diminishing paid media there is a benefit to moving early, to learning and embracing the bumpy road to success, with one eye on ROI. If you have been checking out the links strewn across this article then you will have seen some of the wildly cool things that can be done (there’s more below), and perhaps concluded that our imaginations are much less limited by technology today than they used to be. Pause for a moment and consider how AR might impact your marketing toolkit – Video, TV, Social Media, Print & Outdoor Advertising – or imagining how smart shelves might work with AR lenses to intelligently connect shoppers to their food preferences or planned recipes – and that’s before we go into the potential for packaging and enhanced brand experiences at home or outdoors. SO WHO IS DOING IT WELL TODAY? Fashion: Michael Kors, Converse and Adidas. All driving engagement and virtual ‘trial’, with Converse and Adidas adding in personalization to drive even deeper connection and create. Beauty: Estee Lauder’s Facebook messenger chatbot enabled users to virtually try out lipstick shades, similar to what L’Oréal released with their YouCam app. It’s become a highly successful program reflecting how the technology is improving, as consumers are asking for virtual assistants. 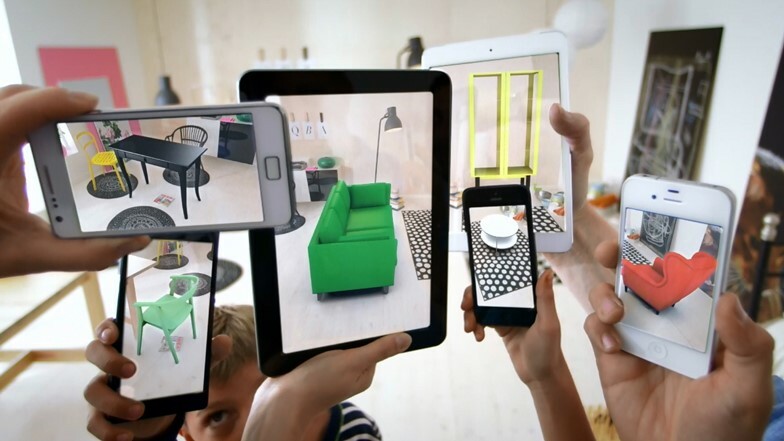 Home: Ikea, Anthropologie and Lowe’s: Ikea was an early adopter of AR, releasing the IKEA Place app allowing shoppers to virtually place Ikea furniture within their home, checking for fit in color, look, size and more – giving consumers confidence that they’re ordering something that will work, driving online sales and reducing returns. 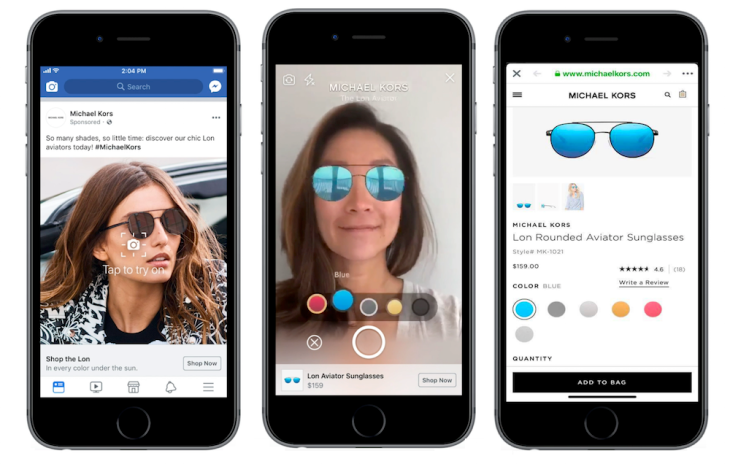 Anthropologie and Lowes also introduced AR into their apps last year – similarly allowing customers to shop the brand’s full line, customizing by color and material. Packaging: Last Wine Company use the Walking Dead to create engagement, Bombay Sapphire and General Mill’s Scooby Doo Fruit Snacks enhance their packaging with Zappars AR engagement toolkit. How do I learn how to gain advantage from AR? There’s no doubt that there is a great deal of nuances to the technology but having a strong knowledge of digital business and digital marketing is the longest term impactful strength you can develop. AVADO’s digital transformation stack offers learning experiences for businesses of all sizes to get the tools they need to gain advantage from the rapid evolution of technology. AVADO is a global leader in professional learning, focused on combatting the crisis in digital skills facing businesses and their people. 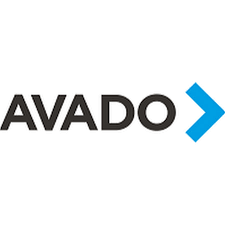 Created with learning designers who have developed inspiring content through an immersive, digital-first approach on an adaptable, data-driven technology platform, more than 100,000 paying users have taken AVADO’s online programs. AVADO is reinventing professional learning with its digital-first approach for leading global companies like Google. The platform allows anyone, anywhere to become professionally qualified and further their career in today’s fast-moving digital world. AVADO has more than 350 staff members in offices in London, New York, Singapore, Hong Kong and Hamburg, with a global network of subject matter experts in 50+ countries. To learn more, visit www.avadolearning.com.